The word paradigm is an over used one, and ultimately it shows that we don't understand the specificity of the concept. 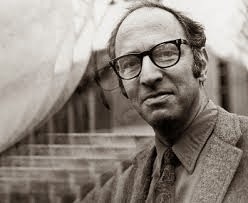 If you've read Thomas Kuhn's The Structure of Scientific Revolutions (I had to as an undergraduate) you understand the concept is one that had specifically scientific underpinnings. In science, Kuhn posited, there are dominant and prevailing models of thought that dictate how people go about practicing science and what they assume to be true. These accepted sets of realities dominate until something revolutionary, a discovery, shakes them to their core. The new prevailing model of thought that comes about better fits observed realities. For example Copernicus posited that the sun rather than the earth is the center of our "cosmos" or Einstein's discovery of the Theory of Relativity. It's this revolutionary shifting that is the pattern of real scientific progress according to Kuhn. The term now gets thrown around too much with very little regard to it's origins. Kuhn did not see his concept as one that should apply more broadly, so he would not agree at all with my application of it. But none the less here we are and here I go. The current "paradigm" or perhaps more accurately conventional wisdom regarding wine in Washington is that the state produces some excellent wines and that when compared to the finest wines of California, Washington compares much more favorably in terms of high quality to value than in sheer greatness alone. The same paradigm holds that there are two or three producers in Washington which can be cited as standing shoulder to shoulder with some of the finest wines in California. Cayuse. Leonetti and Quilceda Creek are those oft cited producers. The current paradigm continues that the state's best as well as exciting up and coming wines are coming from fruit grown in the Walla Walla Valley or Red Moutain. Chris Peterson is making wines at Avennia that might signify the arrival of a paradigm shift when it comes to what we believe to be true about Washington wine. The 2010 vintage marked the first for Avennia but Chris Peterson has been making wines in Washington for almost a decade under the assistant winemaker title at Delille Cellars. His reputation and relationships meant that Avennia has gotten its start with some of the state's best fruit from vineyards like Boushey and Red Willow. Chris's aim is really to emphasize the importance of place in the selection of these vineyard sites and to use his words the "purity of fruit." Avennia is an embrace of the Old World in wine, and really old poetry it turns out. With the 2010 Sestina, Chris is also looking to some of Washington's oldest sites as well, the wine is a blend of Cabernent, Merlot and Cabernet Franc with the preponderance of the fruit coming from Bacchus Vineyards planted in 1972, as well as Red Willow Vineyard which was planted in 1973. For Chris, older vines make lend themselves to his style. "...since the vines are older, we get the varietal typicity and complexity that we are really looking for. In other words, the fruit remains restrained and in balance with the non-fruit complexities"
Avennia has returned to some of Washington's original roots (both in a figurative as well as literal sense), highlighting some of the state's finest and first vineyards, those falling in the Yakima Valley (Red Willow) and greater Columbia Valley (Bacchus/Sagemoor) AVAs. The wine-making style looks to get away from some of the big, powerful wines that Chris was producing when he was at Delille. The Avennia wines place an emphasis on some of the state's cooler sites, less new oak and extraction. Those are things that can mask both the importance that a vineyard site plays as well as get in the way of the letting wine just being itself. The resulting wine, the 2010 Sestina is tremendous, but it's tremendously elegant, understated and complex. Aromas of crushed slate and graphite leap out of the glass alongside fennel and dried figs. The palate continues to demonstrate the wine's elegance. Flavors of black currant and raspberry with a freshness and snap to the wines that are a hallmark of a cool vintage. The wine is beautifully balanced and structured with texture and refined tannin. Very, very pretty. Paradigms, they are a-changing. While the wines are certainly not cheap, they are well priced with the Sestina in the $50-55 neighborhood. 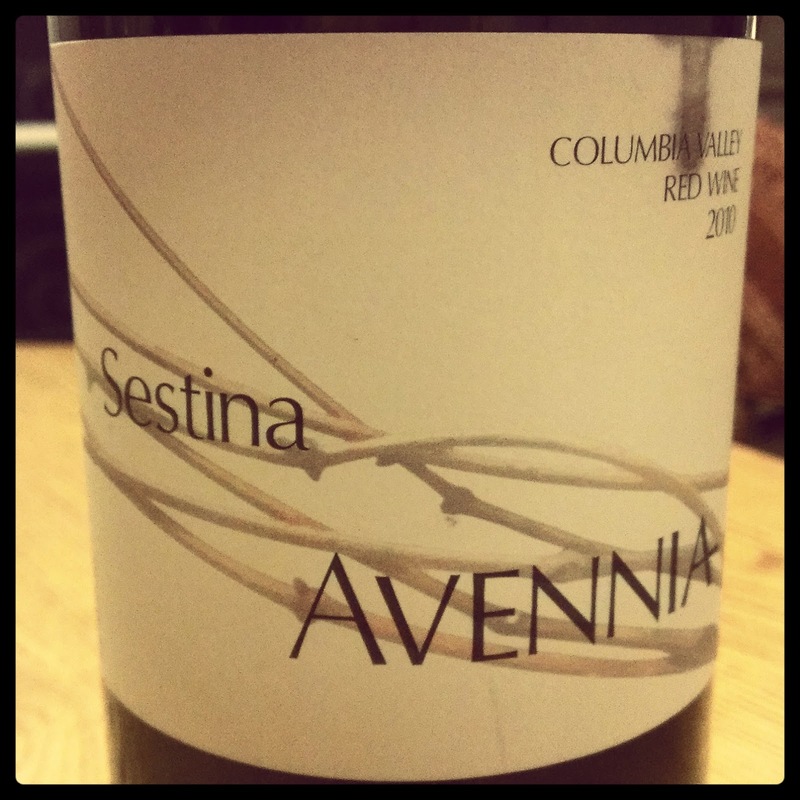 The Avennia wines are better than just about any other Washington wine in this price range that I've tasted (I love the Betz wines in this price range as well). They make a case for another "style" of Washington wine. One that eschews power for elegance. With it's initial releases the Avennia wines have been universally lauded and there will likely be a day when they become much more expensive or nearly impossible to come by. (By the way, don't hate the player hate the game.) The 2011 vintage of the two Bordeaux blends, the Sestina $55, along with the Gravura $35 come to market this month. I suggest you make it a point to seek them out. This wine was a sample provided by the winery.